Previously announced last week, pre-orders for the Collector’s Edition of Sony Pictures Home Entertainment’s anticipated Attack On Titan Season 2 release have finally gone live, confirming Zavvi exclusivity and a price of £49.99 (RRP £69.99). The release is a replica of the set being released by Funimation in North America, including the series on both DVD and Blu-ray, with a 24-page “Beyond the Wall: Part III” booklet and a 60-page art book. You can pre-order the set, which is due for release on 26 February 2016, now. Alternatively, he Standard Edition Blu-ray and DVD are also available to pre-order now. This is the first Funimation title to be announced by Sony following their acquisition of Funimation Entertainment back in August. Previously, the question on many fans’ minds was how the sale would impact the distribution of Funimation titles in the UK, which were previously handled by Anime Limited. Animated by WIT Studio (The Ancient Magus’ Bride), Attack On Titan :Season Two was originally broadcast in Japan earlier this year, with a third season announced to be following in July 2018. 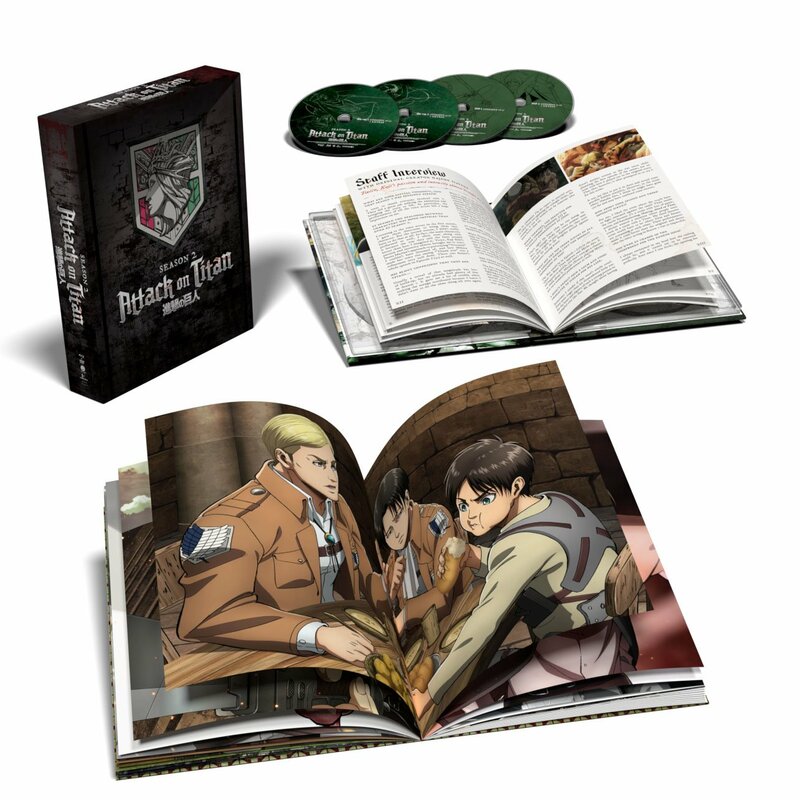 Attack On Titan: Season Two is coming to DVD and Blu-ray in the UK, following a colossal announcement from Sony Pictures Home Entertainment – finally confirming the future of Funimation titles since the company’s acquisition by Sony earlier this year. Black Clover may come out screaming in its debut but that still may not be enough to hold our attention. Sony Pictures Home Entertainment finally confirms home video release for “My Hero Academia” Season 2, Part 1 – just in time to catch up before April’s Season 3! Sony Pictures Home Entertainment confirms release plans for the last part of My Hero Academia’s action-packed second season!